Vacant units for local geographic areas. Data is available down to the census block level in the full file. 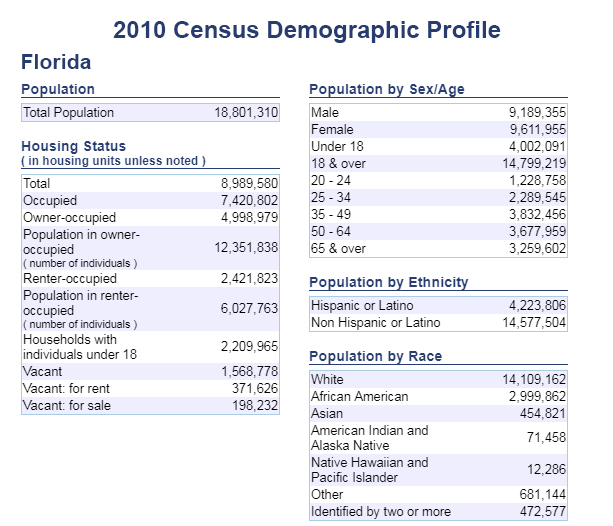 See the "Additional Resources from the Census Bureau" section below. For all geographic areas including census block, download the complete Redistricting Data File via FTP and click on "Florida"